while keeping your down-time as brief as possible. Has this ever happened to you? Maybe not this specific problem, but this scenario in general. You’re on the third day of that much anticipated and much needed vacation trip when, out of the blue, while stopped for breakfast, you realize your generator will not start. No problem, you say, there’s an RV repair shop just two miles back. So you decide to return to that service center. As you pull into the service drive, another coach pulls in behind you. You explain your problem to the service writer, sign the repair order, proceed to the customer waiting area, grab a cup of coffee and wait. And wait, and wait and wait. Then after that, you wait still longer. What? After six hours of pacing and daydreaming about that large bass calling your name while you grow old in a customer waiting lounge, all the technician found wrong was a loose wire? Is that it? Why did it take so long? C’mon, a loose wire? He had the generator completely disassembled! Your frustration level grows even more when you find out that the coach that had pulled in behind you had a much more difficult and more technical problem, and he’s been back on the road for over four hours. What gave him the edge? Why was it that his “harder-to-find” problem was diagnosed and repaired in a third less time than your relatively simple problem? And why is this guy charging you $600 to tighten a loose wire? Well just maybe that previous customer provided a little insight and direction for the service writer and service technician. Quite possibly he supplied enough clues to enable the repair shop to pare minutes, if not hours, off the troubleshooting time and unless this is your first exposure to RVing, you know that within the realm of RV repair facilities, time equates to dollars, especially for those non-warranty, or customer-pay invoices. It stands to reason then, if there is anything you can do to help speed up the diagnostic and repair time, you, the coach owner, will save in the long run. But what can you do? Certainly you cannot be called upon to perform highly technical, diagnostic procedures on every component on your RV. No, some so-called professional service technicians even have a hard time with that. What follows, however, are five items that you can do that will not only benefit you, but it just might provide enough of a road map or direction for the service shop to follow prior to performing troubleshooting procedures. At a minimum, it will help eliminate areas that need not be looked into during the diagnostic tasks. Here’s a tip that is highly recommended whether you choose to follow the advice in this article or not. This step alone will help you to at least create a biographical sketch of your coach. It will be beneficial to you and any subsequent owner of your unit. 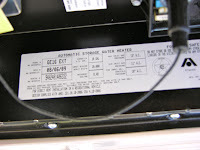 By keeping, somewhere in the literature for your RV, a list of all brand names, models numbers, serial numbers and any spec numbers for all components that have such numbers, your dealer or service center will be able to rapidly transfer the necessary numbers to the repair order rather than go to the individual component to retrieve them; some may be located in hard to reach places. Additionally, the service writer will be able to identify those appliances or devices that may be under a subject recall, regardless of the reason for your current visit. Or should you be required to contact the customer service representative of any product component, this reference list will come in handy. Unless this is your very first trip after purchasing your recreation vehicle, you probably have gathered an assortment of papers, warranty forms, repair invoices, etc., for things done on and to your coach. If you are like most people, you’ve lost some, stuffed some in a storage compartment or glove box, maybe put some in a box somewhere subconsciously thinking you might need them someday. Try to develop a plan for the safekeeping of these documents. At the very least keep your repair order and installation receipts in a three-ring binder arranged in chronological order. Again, they may provide a clue that will ring a bell or jog the memory of the service writer. If he quickly scans your repair history and finds a specific failure pattern for a particular device that relates to your current problem, it may help speed up the repair time in the shop. 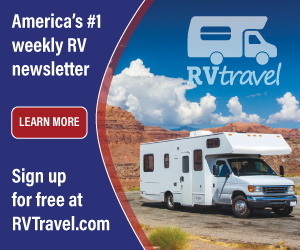 Besides, a detailed and chronological record of repairs and services just may add value to the resale of the RV when you decide to trade up. It shows you have taken care of your coach at the very least. Similar to the previous item, this one suggests you maintain a list of all aftermarket accessories that have been installed on your RV. Not only does it provide a detailed accounting of how you have increased the value of your rig, it could also save troubleshooting time while in the shop. Here’s a real-life example. 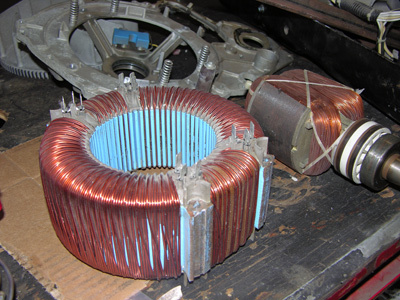 A late model Class A motorhome began experiencing intermittent electrical shorts in the 12-volt DC system. While perusing the customer’s list of installed accessories, the service writer notices that the customer just had a roof rack with a rear ladder installed two weeks earlier; a fact the owner would have never even mentioned since it did not relate at all to the 12-volt short. He casually made a note on the repair order. 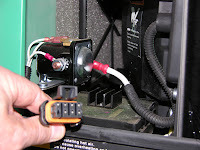 The RV technician then read the note, made a deduction, attached a meter to that 12-volt circuit and started removing the screws that secure the roof rack to the roof. Sure enough, the third screw he started to remove confirmed the existence of a short. After removing that screw completely, the short disappears. He then seals the hole, (the roof rack will suffer no ill-effect with one less mounting screw), runs a few more tests, signs off on the repair order, and sends the finished coach to the outbound lane of the service department driveway. In and out in less than thirty minutes – minimum charge. Almost unheard of for any 12-volt short, especially one that is intermittent. Without the knowledge of the customer’s recent accessory installation, it may have taken hours (days?) 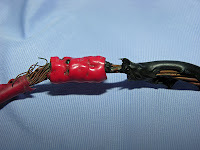 to find that single screw partially grounding out that 12-volt wire. Labor charges were reduced by 50% on a recent repair when a customer pointed out a clump of burned wires located in a hard-to-get-to, difficult-to-see storage compartment, behind a partition, under a full-size bed. His assertiveness to “look for the obvious” allowed him to not only retain some girth to his wallet, but also put him back on the road that much quicker. The technician quickly made the repair, tested the system and sent the owner on his way. Of these five tips, this is probably the most valuable, however, this one takes a little more effort on your part. Ready? Whenever a symptom develops, begin to write down specific aspects that pertain to it. For instance, does the problem occur every time? Only at night? When the tank is full? Only after start-up? Only after shut-down? Only when it’s hot outside? Get the idea? Also note any and all geographical attributes at the time of the occurrence; high elevation, near the beach, steep incline, hot and dusty, at the lake, desert, mountains, etc. Some symptoms may be peculiar to one of these areas that will help the tech pin-point the problem source, or at least narrow the scope of his search. Remember, these efforts are in your best interest. Also note exact weather conditions at the time; windy, rainy, snowy, sunny, cloudy, dry, humid, air temperature, etc. These can all be applied to the mix when performing diagnostic procedures, especially on propane appliances and internal combustion engines. Can you duplicate the symptom now? Can you override or by-pass the problem? Is it intermittent or constant? By asking yourself these types of questions, the derived answers can be noted and given to the service writer. When compiled and translated by the service writer, then absorbed and applied by an astute technician, your input can greatly enhance the feasibility of spending the minimum amount of time in the service bay. Additionally, use your product knowledge to further pinpoint a possible cause. For instance; if you are experiencing a refrigerator problem, does the problem exist during both gas and electric operation? While driving or only while sitting still? Or both? Only during the heat of the day, or at night also? Document the specifics. The more information documented, the better the chances of getting back to that vacation sooner. By applying all five of these items, at the very least, your visit to the repair shop will be less stressful knowing you’ve contributed to the successful repair of your RV. You’ve done your part. During the course of your RVing season the additional time savings may also be substantial. Oh, that theoretical scenario mentioned at the top of this article…. here’s what really happened. After realizing the generator would not start, the owner began an initial, cursory inspection, taking notes along the way while his wife phoned the service center. Here are the notes he handed to the service writer along with the brand, model and spec number of the generator. The service writer read the list then decided to check two items before writing the repair order. First, he opened the generator compartment and checked the remote harness connector. It was clean and tight; all contacts secure. Next, he reached behind the dash switch and there discovered a wire that had vibrated loose. He connected the wire, started, then stopped the generator with no further problem. He thanked the customer for stopping by, gave him a company business card and sent him back to his vacation – no charge. Because of the detailed set of notes, (which took the owner less than 20 minutes to compile), it was clear the problem was not even in the generator itself. 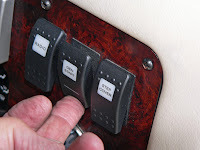 Rather, the condition existed somewhere in the harness between the generator and the remote start switch located on the dash panel. If it had not been that loose wire, it may have been a cut, an open or shorted section in that harness under the motorhome somewhere, in which case, the service writer would have completed the repair order and sent the coach to a service bay. Even then, because of the customer’s input, the tech would probably have found the cause in a minimum amount of time anyway. This is not to proclaim that all service-related and technical problems will be eliminated completely, but one would be hard-pressed to deny that if these five steps are employed, there is indeed a greater chance of a faster turn-around in the shop, allowing you to spend more of your hard earned vacation. Be prepared to provide more information than is really needed. The technician and service writer will sift through your input for the viable tidbits. Better to have too much info than to overlook something important. Always photocopy your notes and give them to the service writer at the time of the repair order write-up. As an attachment to the repair order, they will aid the technician during the troubleshooting process, however, don’t count on getting them back. Always print your notes out. Do not force them to decipher your handwriting. Remember, the goal is to save time. Scrawled writing is difficult to read and may lead to confusion or misinterpretation. 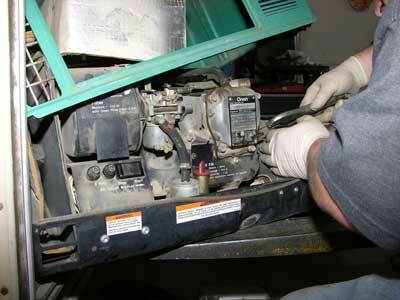 Make yourself available to answer any questions the service writer or technician may have. Let the service writer know where you will be at all times while your coach is in the shop. And remember, RVing is more than a hobby, it’s a lifestyle!